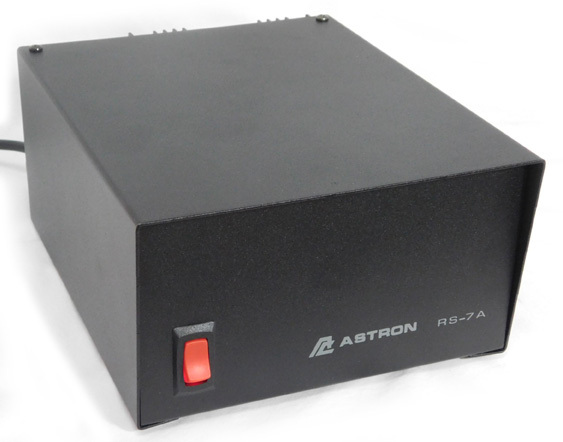 The Astron RS-7A is a high quality, linear design power supply providing 13.8 VDC at up to 5 Amps continuous of 7 Amps ICS. 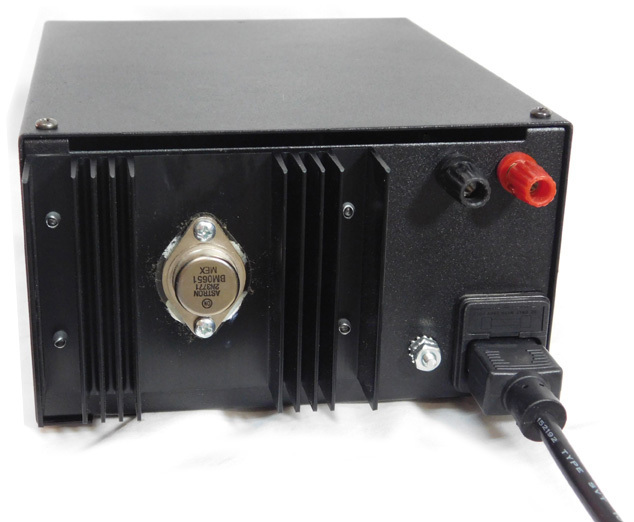 The front panel features an illuminated on/off power switch. The rear panel has a large heat sink and 3-way banana jack binding posts. Copyright 2015-2019, Universal Radio, Inc.